The Government Printing Office (GPO) is a legislative branch agency. The name changed in 2014 to Government Publishing Office. GPO’s core mission of “Keeping America Informed,” dates to 1813 when Congress determined to make information regarding the work of the three branches of the federal government available to all Americans. GPO is responsible for the production and distribution of information products and services for all three branches of the federal government, including U.S. passports for the Department of State, as well as the official publications of Congress, the White House, and other federal agencies. 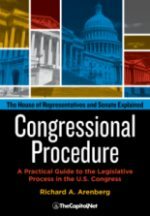 As the principal producer and disseminator of congressional documents, GPO is a key source of information, in print and electronic formats, about Congress and its activities. As a legislative body, Congress needs fast, accurate printing services to assist it in the processing of legislation. GPO was established in 1860 to do just that. Today, pursuant to the provisions of Title 44 of the U.S. Code, GPO is charged with printing, binding, and electronic information dissemination for Congress, the president, and federal agencies. GPO prints the Congressional Record and the Federal Register and makes both publications available online through FDsys and Govinfo. GPO describes itself as the “digital platform for the federal government,” amid congressional efforts to reduce the volume of printing and binding of legislative documents. 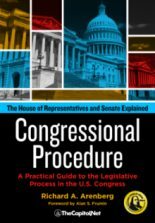 The congressional documents that GPO prints are distributed to the House Legislative Resource Center, the Senate Document Room, congressional committees, and elsewhere within Congress. Most documents are redistributed by those offices to members and congressional staff and to the public, but some are printed for the specific use of a committee or other congressional entity. In addition, most congressional documents are also available free online, for examination in depository libraries, or for purchase from GPO’s superintendent of documents. Senators each receive a permanent edition of the Congressional Record, the Senate Manual, and other documents. Representatives each receive the Constitution, Jefferson’s Manual, and Rules of the House of Representatives of the United States, a set of the U.S. Code, and other documents. GPO provides members with franked, public-document envelopes, reprints from the Congressional Record (for a nominal fee), estimates of the cost of insertions exceeding two pages into the Extensions of Remarks section of the Congressional Record, and other services. GPO also serves Congress and the public through its web site of frequently used documents, GPO’s Federal Digital System (FDsys) and Govinfo.gov. Many congressional web sites, the Library of Congress’ Congress.gov service, and other government and private web sites link to FDsys. 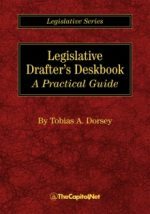 It provides online access to congressional bills and resolutions, committee reports (including conference committee reports), public laws, the Congressional Record, the Congressional Directory, and a variety of other congressional documents. 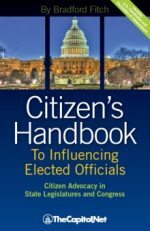 It also provides online access to the Federal Register, Code of Federal Regulations, and other executive-branch publications essential to the work of a government-relations professional. Many publishers and commercial online services buy content from GPO to index and reformat for their systems. Because GPO is the source, it will often have the information online first; however, other services often have more powerful search tools and more convenient features than GPO. As the administrator of the federal depository libraries program for nearly 1,300 libraries, GPO also makes these and other congressional, executive, and judicial documents available to federal depository libraries. Located within public, university, and other libraries, federal depository libraries allow local, public access to current and historical documents that may not be available online. The depository libraries are staffed with librarians experienced in using those resources. 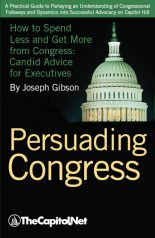 GPO also maintains an online bookstore for congressional and other government documents. “Public Printer of the United States” is the official head of the Government Printing Office (GPO). 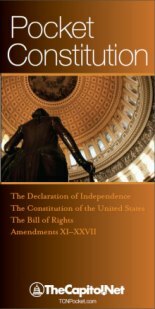 Also see Congressional Record; Treaties; § 4.140 Government Printing Office, Chapter Nine, Congressional Documents: Overview, Legislation and Laws, in Congressional Deskbook.